Kari Kurtz received her real estate license in 1982 and has been representing buyers and sellers in commercial and residential real estate for over 34 years. 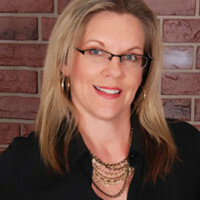 Kari is the owner and broker at AKA Commercial Realty and AKA Residential Realty, which opened in 2010. They provide clients with experience, knowledge, and integrity. AKA Commercial Realty is a full service real estate brokerage firm with over 50 years combined experience, specializing in sales and leasing of commercial property in the greater Tampa Bay area. 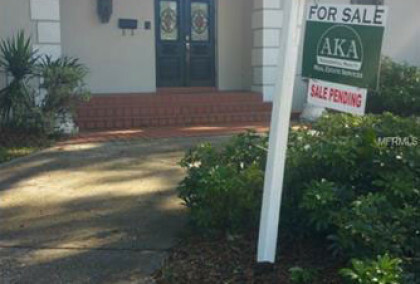 AKA Residential Realty is also a full service real estate brokerage firm focusing on the purchase and sale of residential homes, condominiums, townhomes and lots, as well as rentals, in the Tampa Bay area. Kari was born in Minneapolis MN, and raised in South Tampa, FL since the age of 8. She attended University of Tampa, and is a Plant High School alumni. Accomplishments include Million Dollar Club from 1996-2003 and President Elect of the non-profit organization, North Hyde Park Alliance, 2015-2017, a local and very active business-owner membership group. Kari enjoys spending time with her two children, ages 7 and 10, and their adopted shelter puppy. She volunteers at the elementary school that her children attend, and is very active in their activities, which include theatre, dance, acting, and basketball. Whether you are considering buying a property, selling a property, leasing a property, or all of the above, Kari knows the Tampa, FL area inside and out. AKA Commercial and Residential Realty offers unparalleled service and their clients’ complete satisfaction is top priority. Their motto: We Make It Happen! Call Kari today for more information – 813-690-2330. Great street frontage on busy Florida Avenue. Great for retail or office use. Open space with restroom. Central heat and air conditioning. Glass storefront. 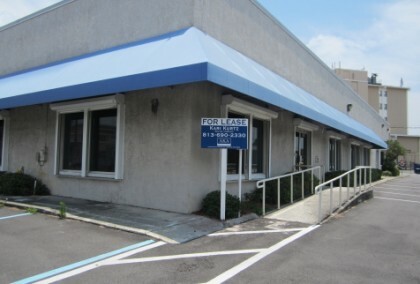 Ample parking behind unit in large parking lot. Tenant pays own electric and janitorial. Tenant pays 7% sales tax. Water and trash is included in rental amount. Florida Ave. and Sligh Ave. Space is attached to The Oaks at Riverview residential community. Kennedy Blvd. Strip Center. High visibility with pylon signage available. Ample parking in front of unit PLUS in back of building (38 spaces). Traffic counts 34,000 +/- daily. Currently a salon. PLEASE do not disturb the existing tenant. A salon use will not be allowed in this space. Any other retail and/or office use is acceptable. 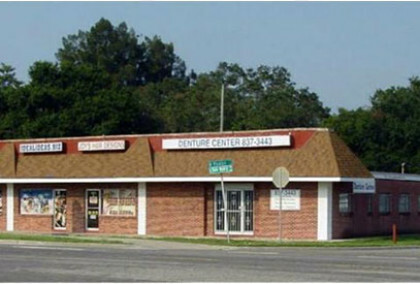 Strip Center neighbors include: restaurant, boutique, salon, dog groomer, frame shop. Great opportunity to build a fabulous office building here! South Tampa / Hyde Park vacant lot. Nice corner lot with alley access. 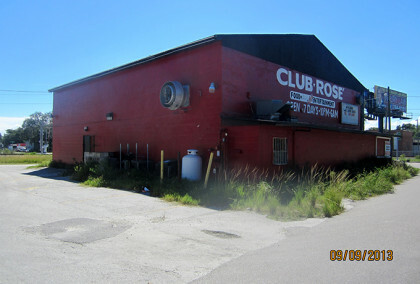 PD approved for 2,900 sq.ft. office building (1.5 stories) with 9 parking spaces plus 1 HC. Blue print plan available. 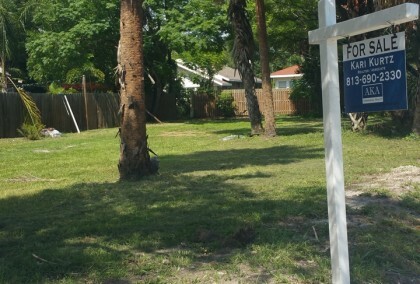 Lot size: 7,150 sq.ft. Great opportunity. Please drive-by. Kennedy Blvd. and Boulevard to Cleveland St., West on Cleveland St., before Howard Avenue. At corner of Westland Ave. and Cleveland St. Recently renovated (exterior) South Tampa strip center. 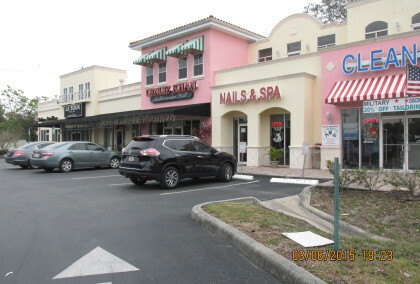 Retail storefront space on Kennedy Blvd. 1,400 sq.ft. space. NNN. $3.25/psf CAM. Tenant pays own electric and 7% sales tax. Two small offices (could be knocked down) to wide open space. Unpolished cement floors exposed and under existing flooring. Small bathroom. Higher ceilings. Pylon signage. Ample parking in front and back of strip center. Other existing tenants include: frame shop; photographer, salon, boutique, small sandwich shop. High traffic count (2014): 33,000 +/- cars daily. South side of Kennedy Blvd. Between Armenia and MacDill. Harbour Island at The Plaza. 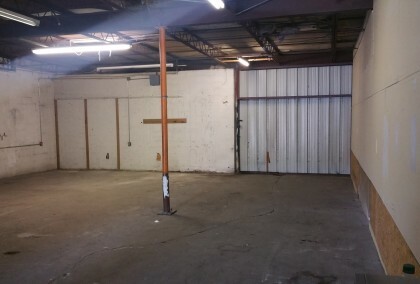 Very unique commercial space available. 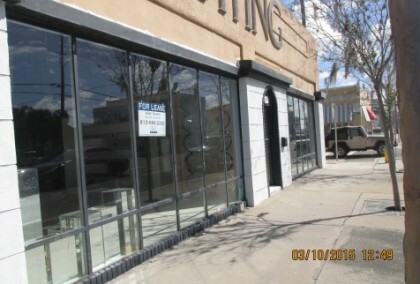 First floor exterior retail / office space on street level. Glass store front to street. Quaint patio landing. Wide open space except for two small rooms/storage closets/changing rooms in back of space. Exposed ceilings with A/C duct work. Between 10.5 ft +/- and 12.5+/- ft. high ceilings (two different ceiling heights in the space). One exposed concrete block wall. Polished grey/white wash cement floors. Construction to be completed by June 30, 2016. Tenant pays own electric and cable/internet. Tenant pays 7% sales tax on monthly rental amount (rental rate includes NNN charges). 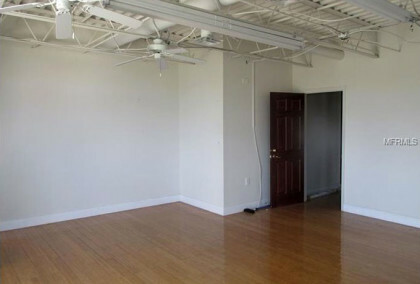 Perfect for yoga / spin studio, boutiques/clothing store, all retail, massage salon, office space, juice/coffee/smoothie bar. The Plaza on Harbour Island. Corner of Harbour Post Drive and Harbour Place Drive. 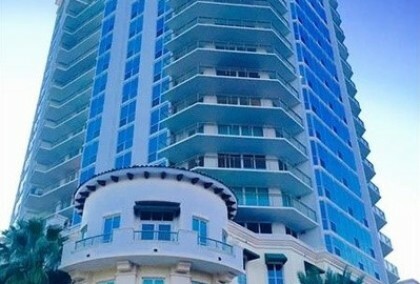 Surrounded by high-end condominiums and their owners! Adjacent to Downtown and Channelside and Amalie Arena. 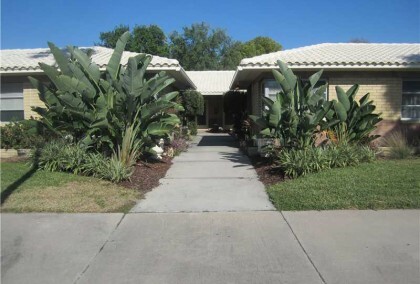 Walking distance to the Florida Aquarium, Port of Tampa cruise terminals, Tampa Convention Center. 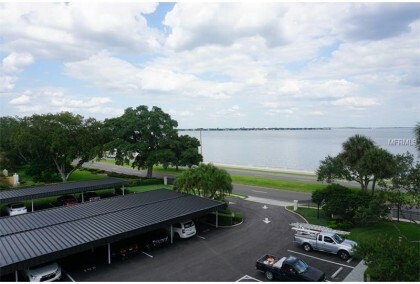 Close to Davis Islands, Tampa General, and the University of Tampa. Norht Hyde Park area. Vacant lot. RS-50. 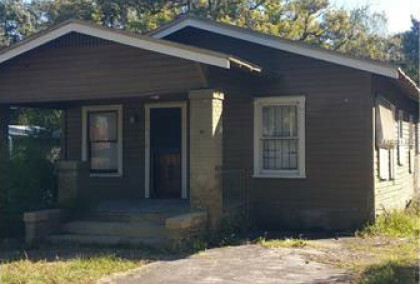 50×102 (includes vacated alley portion). 5,100 sq.ft. Folio: 181380-0000. HOT area. Surrounded by new development by Domain Homes, Lennar Townhomes, Custom builders, high-end apartments. 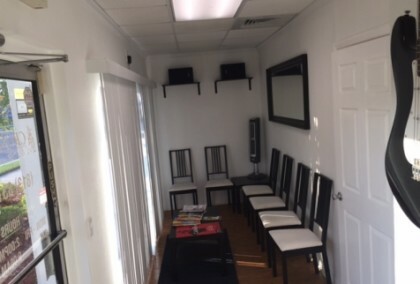 Class A medical office / spa space. High end, beautiful finishes. Top floor. 3,372 sq.ft. Large open reception area (room to add more offices / exam rooms), two changing rooms, four exam / spa rooms with sinks, full break room with washer/dryer hook-ups for full size side-by-side units, three restrooms (one half bath, one handicap, one full with walk-in shower). Surround sound/speakers thru out space in the ceilings with volume control in each room. Phone system in place. Computer wiring for network. Hyde Park. One block North of Swann Avenue. 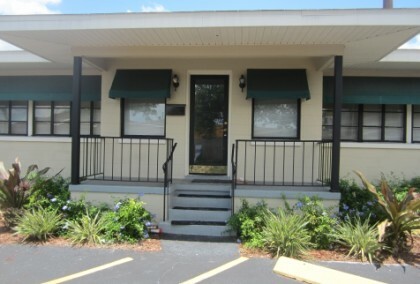 Minutes from Tampa General Hospital and Memorial Hospital. Beautiful neighborhood strip center. Nicely maintained grounds and landscaping. Wide walkway with stone pavers. Mixed use with retail on first floor and office suites on second floor. Total building is 7,384 sf. Wet zoning is in place on the property for the restaurant. Five total bays on first floor and one office suite upstairs. Wide air conditioned stairwell to upstairs suite plus elevator. Small on-site storage room. 85% leased. One vacancy (840 sq.ft. space). Ample parking: 28 on-site parking spaces (two HC) PLUS additional 50×164 paved lot with 15 parking spots across small side street. 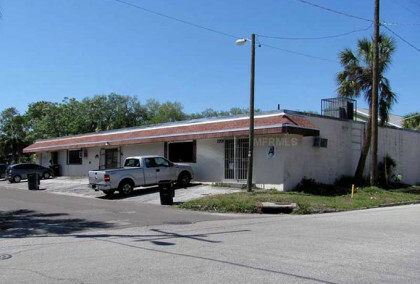 Also included in the sale is is the parking lot at: 6022 S. 4th Street, Tampa, FL 33611. Outside seating. Nice awnings providing shade. New quality construction. Unique Mediterranean style/look to the building. Built 2005. South Tampa intersection of MacDill and Interbay Blvd. Just North of MacDill Air Force base. Property on SE corner. Citco gas station on SW corner. Beautiful building with professional finishes, high ceilings, natural lighting, neutral colors. Private 1,536 sq.ft. +/- suite in shared stand-alone office building in an office complex setting with private entrance and ample parking. Full use of common areas that include: breakroom, reception area, large conference room and small conference room. Four offices plus two secretarial built-in areas with desks and additional copier/filing room or workspace/office. Additional office can be added for use or stand-alone executive office. Shared large conference room, smaller conference room, breakroom, two restrooms. Full service. Tenant pays 7% sales tax. Other tenant is owner who runs their law firm. High visibility on Dale Mabry. 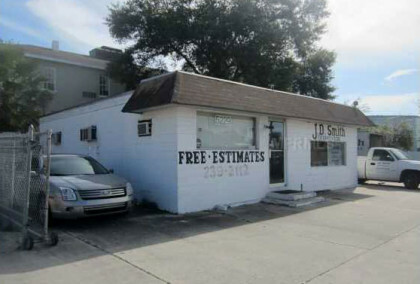 Perfect South Tampa location. Six nice offices with lobby / waiting area plus restroom plus storage room. Very clean….ready to move in. 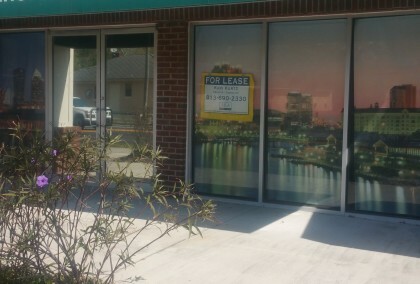 Located in a nice sized strip center with other tenants: a crossfit gym and an insurance agent. Tenant pays 7% sales tax plus their own electric and janitorial. This is a Sub-Lease. 18 months left with option to lease directly with landlord. RENOVATION in process. Painting, awnings, exterior lighting. 1. End unit. Old Biscayne Lighting location. Retail storefront. Terrazzo tile floors. CHA. High / Volume ceilings. Delivered as vanilla-shell. 2. Back space. Very cool. Could be warehouse, office, gym, etc. Other tenant’s include theater group, bridal boutique, high-end boutique (opening soon). NNN charges $3.58/psf. 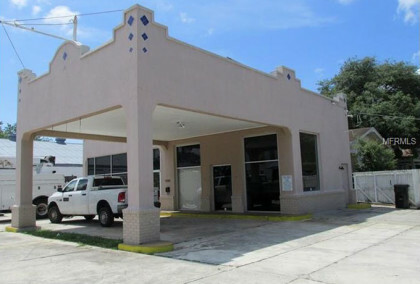 Corner lot with existing concrete air conditioned building of 1,636 sq. ft. Three offices, receptionist/secretarial area, breakroom, restroom. Paved lot. Fenced. Just South of Hillsborough Avenue. On East side of Florida Avenue, Corner of Giddens Ave. and Florida Ave. HOT North Hyde Park area. Amazing growth! Nice wide street location. Interior lot with alley access. House built 1926. Feels larger than 744 sq.ft. SOLD AS-IS. 48×104. Not a short sale. Seller makes no representation as to the condition of the home. No electric or water is on. Home needs complete renovation. Vacant. Inspections to be done at buyer’s own cost. No access to the home. Access allowed once property is under contract. All offers to be submitted on an AS-IS contract. Cash only. Proof of funds required at time of presenting offer. Excellent schools: Mitchell Elem., Wilson Jr., and Plant High. 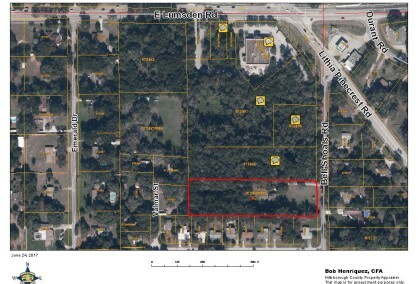 Over 1/2 acre lot (23,100 sq.ft.) on Florida Avenue. 110 feet frontage by 210 feet deep. Paved lot. 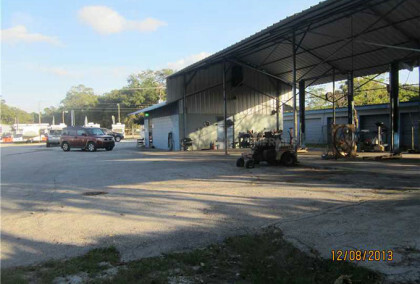 Two structures on-site: i) auto service/repair garage with 650 sq.ft. air conditioned office plus 1,858 sq.ft. four bays/stalls with three lifts; ii) 7 bay warehouse/storage with restroom (1,176 sq.ft.). Concrete block construction. Two curb cuts from Florida Avenue. Four lane thoroughfare. Business closed. Was an auto repair shop. Plenty room for a car sales lot. Zoned CG (general commercial). Over 29,285 cars per day. Very nice solid yellow brick and concrete block Davis Islands 13 unit one-story apartment building on .49 acre of land (21,244 sq.ft.). Located half a block from the water and marine basin. Building is a nice “U” shaped with a courtyard in the middle. Paved parking lot surrounding the building. Each unit has a front door leading to the courtyard and back door leading to the parking lots. 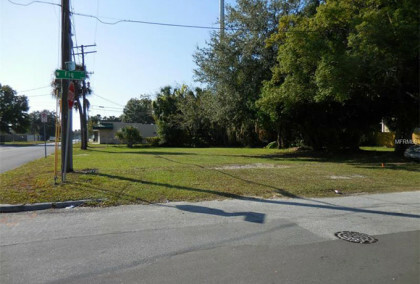 Corner property consisting of four lots on Davis Island. Twelve 1/1 apartments with terrazzo flooring. 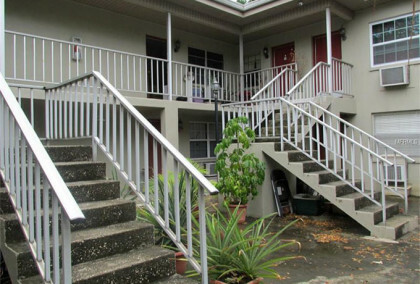 Separate building with an efficiency apartment and laundry room. Plus large air conditioned shed. Great buy in the Heart of the City. 10,160 sq ft building of block construction on the corner of Rome and Arch in growing North Hyde Park. New construction is all around. Newer commercial roof is only 7 years old. With IG zoning, any number of uses are allowed. 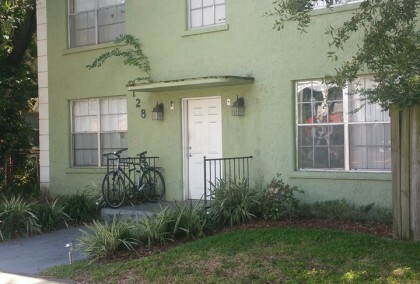 With 3 tenants currently on month to month, a user could use the whole building or part. At just under 5000 sq.ft. 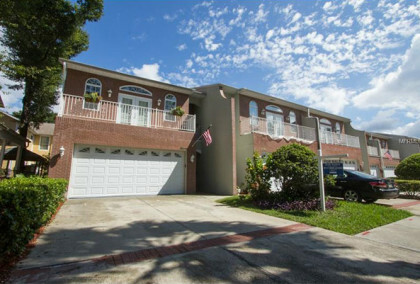 – Nearly 1/2-Acre lot with Gorgeous VIEWS from EVERY window – Framed on 3-Sides by City Maintained Property offering PRIVACY and OPEN SPACE – Massive 3-CAR Side Entry Garage – Gorgeous VIEWS of Davis Islands Yacht Club and Hillsborough Bay – Workout Room w/SPA – Oversized Game/Media Room – Full Service Wet Bar (great views!!) 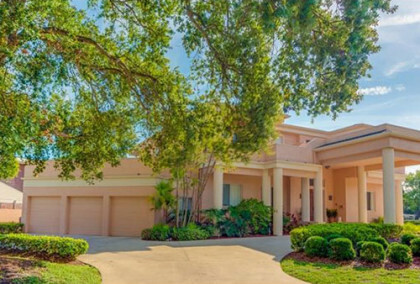 – 64′ Master Suite – Guest Suite w/bath – Study/Library – 30-thousand gallon SALTWATER POOL (gorgeous!!) 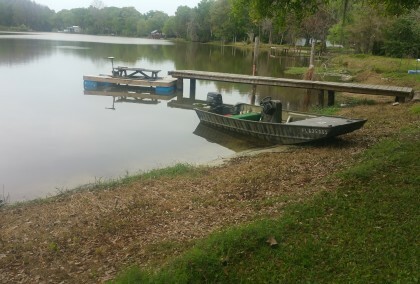 – 4-Independent Zoned AC systems – Large (Private) FENCED Yard – Gorgeous Decks (front decking brand new!!) – Roof replaced in 2012. TOO MUCH TO LIST! FLOORPLAN AVAILABLE – VIDEO AVAILABLE – MORE PICTURES AVAILABLE (including Bay View and Arial Shots). Home is in STELLAR CONDITION ! UNMATCHED LOCATION for this price point! Why settle for a home that has no views and no privacy?? FROM EVERY ROOM YOU FEEL YOU HAVE THE ISLAND ALL TO YOURSELF. BACK YARD IS LARGER THAN MOST STANDARD SIZE LOTS. 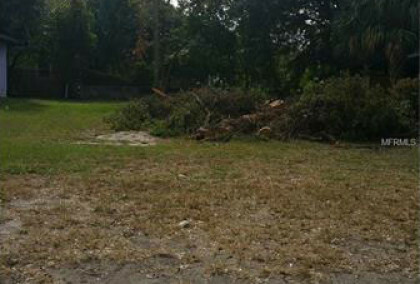 VACANT lot in North Hyde Park. Corner lot, alley access. HOT area of North Hyde Park. 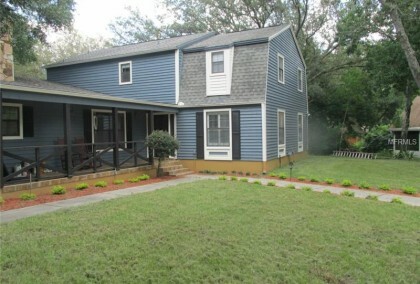 Perfect for a single family home or two townhomes or a duplex. Next door to new Domain Homes ($340,000+), across street from NoHo Flats (high-end residential apartments), few blocks down from Lennar Homes new 39 townhomes ($300,000+). Wonderful corner property w/ ample parking. Well-built, concrete block building. Originally built for dental offices. 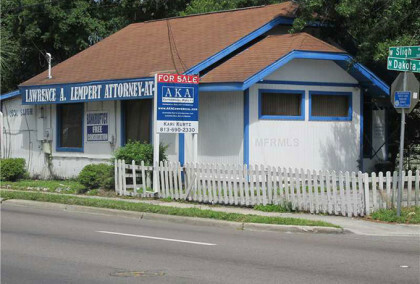 Currently used as a law firm. 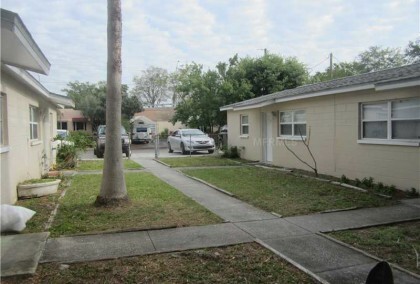 Corner lot with over 34 on-site parking spaces. Easy to occupy half and lease out the other half of building. Central waiting area with two seperate sides. Practice in one and lease out the other side. Two receptionist areas; 2 breakrooms; 5 restrooms (one private w/ shower); 1 conference room; 10 offices. New tile floors. 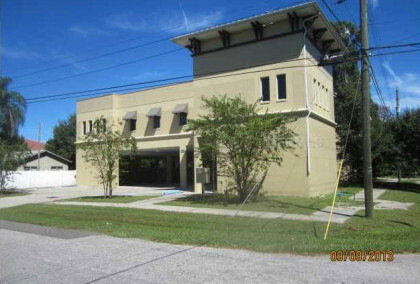 Stand alone office building on Sligh Avenue, just one block East of Rome Avenue. Two offices with conference room area (was three offices) plus waiting area, receptionist/secretary area work space and a storage area or additional room, break room with restroom. Central heat and air conditioning. 6 on-site parking spaces. Handicap ramp. It was a professional law firm. Perfect for any professional office use. Daily traffic count 23,459 (2012). HOT North Hyde Park area. House built in 1918. 3 Bedrooms/1 Bathroom. 1,260 sq.ft. Sold AS-IS. Interior lot with alley access. (NOT to the corner.) 50×105. Not a short sale. Seller makes no representation as to the condition of the home. No electric or water is on. Inspections to be done at buyer’s own cost. No access to the home. Access allowed once property is under contract. All offers to be submitted on a AS-IS contract. Cash only. Proof of funds required at time of presenting offer. Same block and area as New Domain and Lennar homes/townhomes ($300,000+) plus NoHo Flats (high end residential apartments). 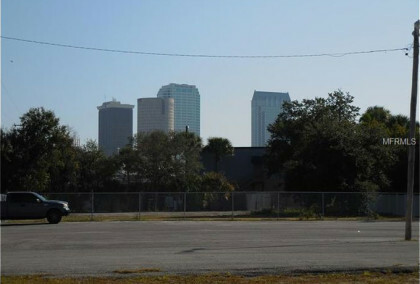 You can see downtown Tampa’s skyline from this location. 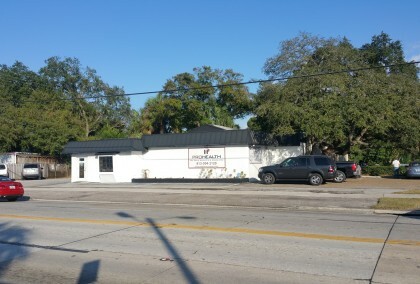 100% leased, well-maintained, well-built two story concrete block, mixed use (retail and office) strip center in South Tampa. Excellent signage via Pylon and building signage. Great exposure and visibility on high traffic Gandy Blvd. Updated units with central heat/air. Flat roof 2000 with front façade. Recently exterior painted. New landscaping and awnings. Tenant mix include: computer repair, barber shop, insurance company, law firm, pet grooming, cupcake shop, massage therapist, and miscellaneous businesses. Most of the tenants have been at center for years. Many of the leases are at below market rents. Tenants pay own electric. Water included in rent. Over 61 parking spaces. Ample on-site parking. Recently paved / striped parking lot. Great condition exterior and interior. Built 1986. Concrete block first and second floor with a cement slab between first and second floors. Gandy Blvd. and Westshore Blvd. Just East of Westshore Blvd. Conveniently located close to MacDill Air Force Base, Dale Mabry Highway, Wal-Mart, Sweetbay, St. Petersburg, Pinellas Park. Near Downtown Tampa via Bayshore Blvd. Tampa International Airport. Westshore Business District and Westshore Mall. Central North Hyde Park area. Concrete block warehouse/office space. Air conditioned. Cement floors. Four – five offices. Showroom. Three large open spaces. Two restrooms. Zoned IG. Tenant pays own electric. Water/sewer/garbage is included in rent. No additional pass-thrus or CAM charges. Corner of Rome Avenue and Arch Street. North Hyde Park desirable location. Central location. West of Downtown Tampa, North of Kennedy Blvd. Close to I-275. Westshore business district. I-4 and the Crosstown. New 2008 Concrete Block Construction. Mediterranean Style. Class A. Medical Office Building with Dark Shell. Free Standing. Covered and Ample Parking. Elevator and Two Enclosed Open Stairwells. Corner Lot. 6,375 Rentable sq.ft. 38 Parking Spaces (19 Covered). First Floor Lobby Crown Molding. Second Floor Lobby Finished Space w/ Ceiling Tiles/Canned Lights and Tile Flooring. 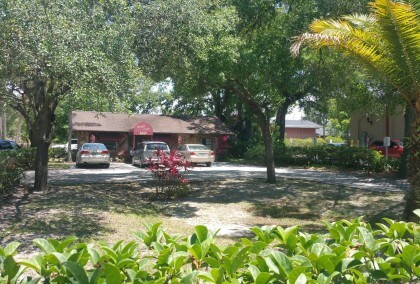 Corner lot of Kennedy Blvd. and Rome Ave. 17,028 sq.ft. of dirt. Booming area of Kennedy Blvd., Hyde Park, Tampa General Hospital, University of Tampa. 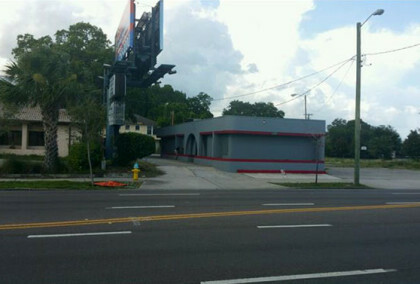 129 ft. frontage on Kennedy Blvd. Corners a wide side street of Rome Avenue with two lane traffic. Next to Starbucks and the new Primrose accredited private preschool. Zoned CI. 2012 Traffic counts equal 35,355 cars per day. Dublex. 2/1 with tile flooring. Central heat and air. Private, fenced back yard. Good off-street parking. READY TO SELL. Back on the market. 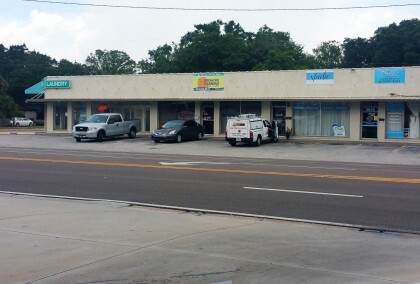 Strip center in South Tampa on busy S. Dale Mabry Highway. Concrete block. Flat Roof. Parking lot in back with 18-20 spaces. Great visibility with 100 ft frontage. Pylon signage. Five (5) bays total. End cap unit is 1400 sq. ft. +/- that was a dental office. The other four (4) bays are 640 sq. ft. +/- with front and back doors and one restroom per unit. Building is vacant. 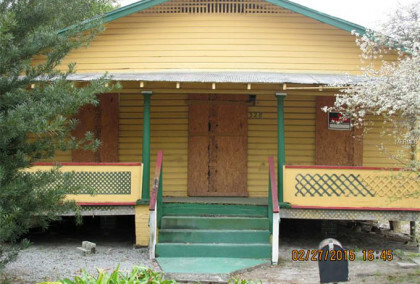 Needs total and complete renovation. Or tear down and build new. Value is in the land. 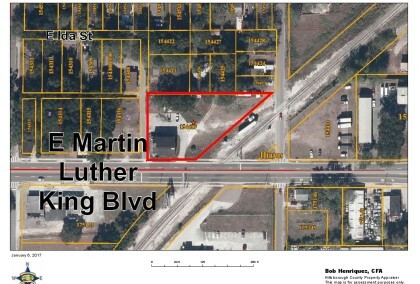 Total lot size is 13,200 sq. 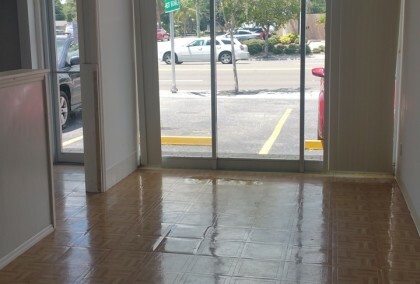 ft.
Office space available in prime location right on Kennedy Blvd in South Tampa near the University of Tampa and downtown. Building needs some work, but would be perfect for a small business, and has a 1-car garage for storage. Contiguous 43,632 sq.ft. on N. Oregon Avenue between Fig Street and Gray Street. Current zoning is RS-50 with special use for Church/Religious. Future Land Use: Residential-20. Structure on-site to be demolished. Includes parcels: 405 N. Oregon, 1325 Fig, 1327 Fig, W. Gray, 1338 W. Gray, 1340 W. Gray. Downtown Tampa skyline views. Just East of the new NoHo Flats and new townhome development to the North with new SFR to the West. Half a block from Willow Avenue. Awesome hidden gem. Whole second floor of South Tampa Mediterranean style/look strip center. Back staircase entrance with service / handicap elevator. High ceilings with exposed look/feel. HVAC. Bamboo wood floors. Glass divider. Lots of windows. Private balcony. Ample parking with 45 spaces. Tenant pays own electric. Water/sewer/garbage is included in rent. No additional pass-thru or CAM charges. 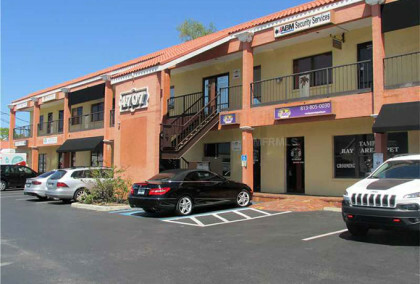 Other tenants include: dry cleaner, nail salon, restaurant/bar and hookah lounge. THE DIPLOMAT. Waterfront living at its best. Amazing views from 4th floor balcony accessed off living room and large master bedroom. Perfect opportunity to customize the renovation/remodel to exactly what you want! $1,500 painting credit given at closing. Wonderful cross-breeze with sliding glass doors open. Large, open floor plan with combination dining room and living room. Many large (and walk-in) closets for storage. Laundry room closet with stackable washer/dryer is inside unit. 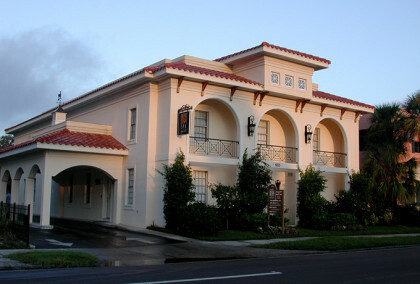 This beautiful and well-maintained building is one of the gem’s of Bayshore Blvd. The Diplomat offers 24-hour security, on-site manager and concierge services. The many amenities include: sparkling heated pool surrounded by lush landscaping; sauna; tennis counts; library/bridge room; spacious entertainment room with kitchen. Well run HOA to include low condominium maintenance fees and strong reserve. One assigned, covered parking space per unit. Awesome opportunity to be in the developing urban, mixed use area of North Hyde Park to build / develop something new. Endless possibilities: retail, industrial, warehouse, showroom, storage, townhomes, apartments. Zoned IG. Properties have Rome frontage. From street to street (Arch to Nassau) separated by an small alley. Existing structure on-site is 8,833 sq.ft. 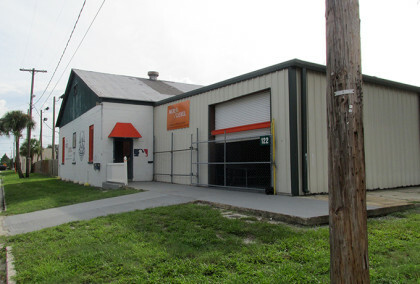 concrete block warehouse that sits on a 10,355 sq.ft. parcel.. Plus additional 10,310 sq.ft. vacant land (fenced in) that is currently used by the tenant as a baseball training facility. Immediate neighbors include two new/newer high-end apartment complexes (Vintage Lofts and NoHo Flats), new townhomes, new single family homes, general commercial, industrial and showroom use. 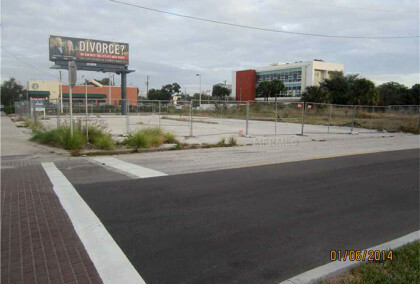 Site is just blocks from University of Tampa, Tampa General Hospital’s development, Wal-Mart, new JCC / Armory site, Kennedy Blvd., Downtown Tampa, I-275, Crosstown. N. Rome. North of Cypress Street. Street to Street between Arch and Nassau. A HIDDEN GEM!! Zoned CG office/showroom/warehouse space. 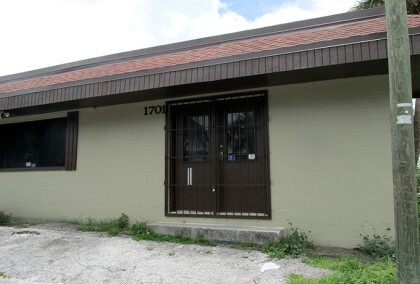 Perfect flex/office space with warehouse in South Tampa. All air conditioned. Office space just remodeled. Ready for flooring (tenant can choose). Large Pylon signage on S. Dale Mabry. NNN charges of $1.83/psf ($365/month) for real estate taxes. Tenant pays own electric and water/sewer/garbage. Amazing open 3,500 sq. ft. (+/-) space when you first walk in through double set of double glass doors. Windows all around. 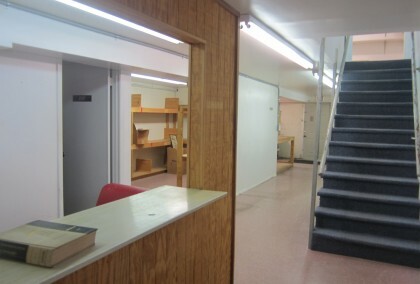 First floor space with HC ramp. Additional open area with desks/work spaces. Glassed conference room. Plus seperate office, IT room, storage room. Nice, large breakroom. 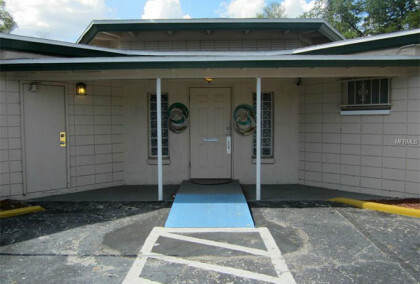 Handicap accessible restrooms (seperate women’s and men’s). Higher ceilings with upgraded ceiling tiles and upgraded lighting. VCT flooriing. White electric roll down hurricane shutters covering all windows. Was former bank. Neighboring space is US Post Office. Stand alone building. Zoned CG. PERFECT for medical, call center, gym, child care, back office, bank. Great visability. Additional parking available. Amazing architecturally designed circa 1928 building. Volume ceilings. Central heat and air conditioning. Exposed interior brick. Cement floors. Porte-cochère for drive-thru or parking. Glass store front. Three entrances. Open high ‘warehouse’ ceilings. Zoned CG. Additional parking available. Post Hyde Park apartments and new 250+ luxury high-end apartments surrounding neighbors. Traffic count of 20,000 +/- daily. 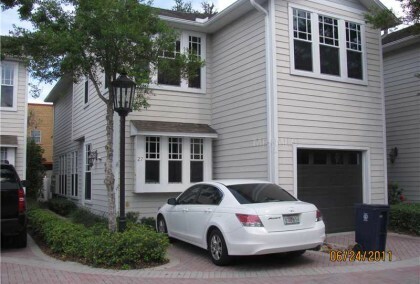 GATED townhouse in heart of South Tampa. 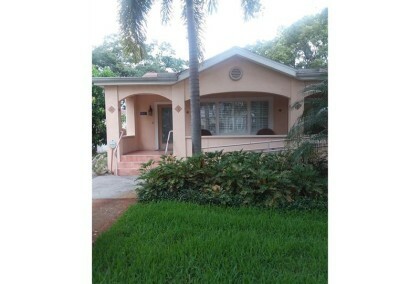 Large 3 bedroom, 2 full bath, one half bath townhome. Beautiful hardwood floors downstairs and on staircase. Gas fireplace in living room. Carpet upstairs. Freshly painted. Remodeled eat-in kitchen with granite and stainless steel appliances and gas stove. Private backyard with patio. One car garage with one additional reserved parking pad/space. Nice community pool area. Rental rate includes HOA fees (paid by the landlord) which includes water/sewer/garbage fees.